Sunday September 9th 2018 10AM – 3PM Kickoff retreat. Lunch included. 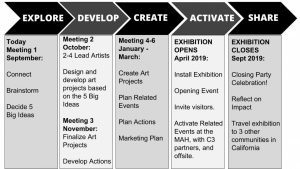 Tuesday October 9th 2018 10AM – 12PM Developing exhibit topics and projects. Snacks included. Tuesday November 20th 2018 10AM – 12PM Finalize topics and projects. Snacks included. Tuesday March 5th 2019 10AM – 12PM Finalizing projects and expansion plan. Snacks included. Exhibition Dates: April 5th 2019 through September 22nd 2019. C3 will meet six times from September 2018 to March 2019. 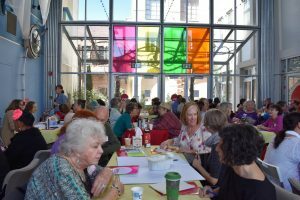 Expect to take away new ways of working, new community collaborations, and creative opportunities to build a stronger, more connected Santa Cruz County. 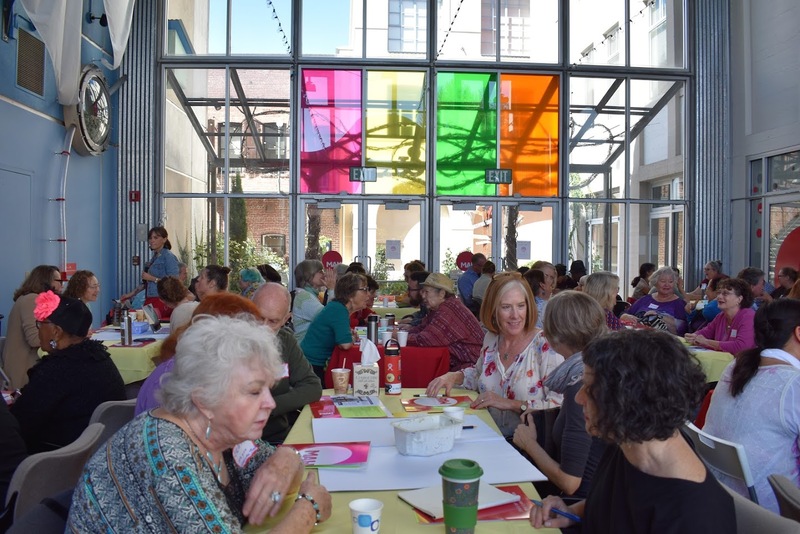 We’ll start with a half-day workshop on Sunday September 9th 10AM-3PM, where we will get to know each other and identify the most important stories, themes, and issues related to the social isolation of seniors in Santa Cruz County. In the months following, we will meet monthly to develop a powerful public exhibition about seniors experiencing social isolation. We will work with artists, policymakers, advocates, and seniors to share your stories, build new artworks, and develop ways for the public take action. We encourage all members to invite seniors experiencing social isolation with you to the first meeting and support at least one person’s continued commitment through the remaining months. This project cannot happen without senior participation. As the project develops, we’ll invite you to get more involved in producing artwork, developing events and programs or helping with marketing, fundraising, and promotion around the exhibition. This year, all meetings will be held at the Museum of Art & History 705 Front Street Santa Cruz, CA 95060 and will be facilitated by MAH staff in English.